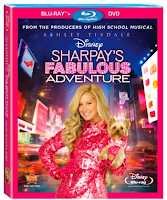 Coming to DVD and Blue-ray on April 19, 2011 is new Disney movie Sharpay's Fabulous Adventure starring Ashley Tinsdale. This movie is about the character from "High School Musical" Sharpay Evans. The theme of the movie is pursing life long dreams and believing in yourself with all the pink and glitter Sharpay brings! Plus she has her cute little dog. I love when Disney moves have pets in them. I adore my Lab, shes the only other girl in the house so we have to stick together. This film is rated G so the whole family can enjoy it together. Being in a house of all boys I have to watch cute movies like this by myself but I love them. I have always been a Disney fan and these kind of movies are cheery and cute. 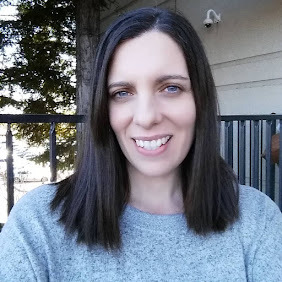 I look forward to watching this one and wanted to share the sneak preview of the movie with you, my readers. I know so many of you have girls that will enjoy this one. Sharpay's Fabulous Adventure has a facebook page so you can stay up to date on the fun of the movie. The twitter handle for the movie is @DisneySharpay.